We operate two open repeaters for the use of licensed amateurs that are coordinated with surrounding machines and offer reliable communications in the greater Mercer county area and nearby areas. We welcome licensed amateurs to take advantage of these resources in a responsible manner while observing good operating practices. 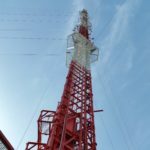 featuredNew repeaters have arrived – KC2TGM Mark has come through again for the DVRA ! Yaesu is offering their newest and redesigned DR2X Repeater to promote the latest features and improved design. These new machines will be Installed in July. 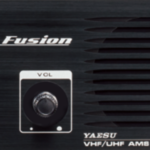 In this Repeater Talk article we will focus on the topic of Wires-X and how the DVRA is taking part in the expansion of this exciting feature of Yaesu System Fusion. 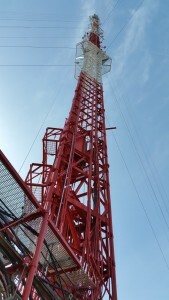 Many UHF/VHF users have long lamented the limitations of line of sight communications that are the norm – well with the exception of tropospheric propagation or other atmospheric phenomenon’s. This months Repeater Talk article we will focus on the year in recap and looking forward to the coming of 2016! The beginning of the year 2015 found the DVRA with two coordinated pairs one for UHF and the other for VHF, dated equipment, a back-up tower in use for 2 meters and a 440 machine that was out of service! This months Repeater Talk article we will focus on the recent success of our Yaesu System Fusion Repeaters. Since it’s such a monumental success for the Club – let’s quickly revisit our most recent announcement regarding the W2ZQ 442.650 machine. Don Train of Train Towers and his team of Russ and Ryan did a great job of installing a new antenna. When we press the push to talk (PTT) button on our microphone our voice is processed from a series of pressure waves into a RF signal that is sent on its way to the antenna. This months Repeater Talk article will focus on metadata – The added bonus payload that rides along in the C4FM digital signal. Metadata is the additional information that can be bundled into the signal and available for all sorts of applications. Think of it as the properties or payload of the transmission that you are making.